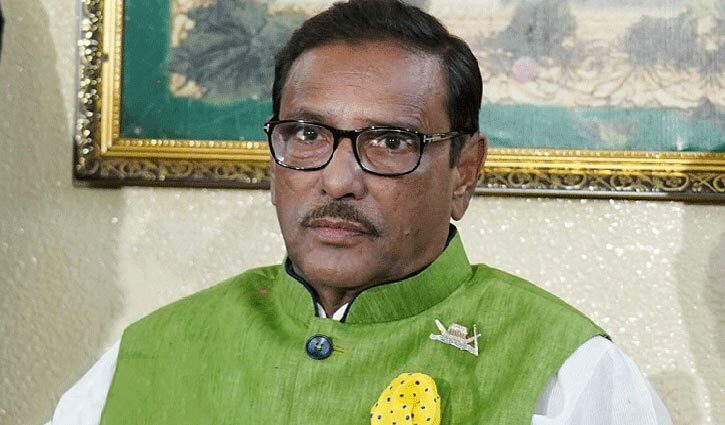 Staff Correspondent: Ailing Awami League (AL) General Secretary and Road Transport and Bridges Minister Obaidul Quader, who is undergoing treatment at Mount Elizabeth Hospital in Singapore, was shifted to a cabin from the Intensive Care Unit (ICU) on Tuesday afternoon. “He is now well. His blood pressure and diabetes remain under control,” BSMMU director Professor Abu Nasar Rizvi informed Quader’s family and others at Mount Elizabeth Hospital lobby, quoting medical board. Quader’s wife Isratunnesa Quader, his younger brother and Basurhat Pourashava Mayor Abdul Quader Mirza and Awami Leader Naimuzzaman Mukta were present, among others, at the briefing, according to a press release, signed by Sheikh Walid Foyez, Information Officer at Bridges Division.